・Afzal, S., Tybjaerg-Hansen, A., Jensen, G. B. & Nordestgaard, B. G. (2016) Change in Body Mass Index Associated With Lowest Mortality in Denmark, 1976-2013. JAMA, 315, 1989-1996. ・Barker, D. J. & Osmond, C. (1986) Infant mortality, childhood nutrition, and ischaemic heart disease in England and Wales. Lancet, 1, 1077-1081. ・Barker, D. J., Winter, P. D., Osmond, C., Margetts, B. & Simmonds, S. J. (1989) Weight in infancy and death from ischaemic heart disease. Lancet, 2, 577-580. ・Canadian Paediatric Society (2004) Dieting in adolescence. Paediatr Child Health, 9, 487-503. ・Eriksson, J. (2001) Commentary: Early ‘catch-up’ growth is good for later health. International Journal of Epidemiology, 30, 1330-1331. ・Flegal, K. M., Graubard, B. I., Williamson, D. F. & Gail, M. H. (2005) Excess deaths associated with underweight, overweight, and obesity. JAMA, 293, 1861-1867. ・Gluckman, P. D. & Hanson, M. A. (2004) Living with the past: evolution, development, and patterns of disease. Science, 305, 1733-1736. ・Gu, D., He, J., Duan, X., Reynolds, K., Wu, X., Chen, J., et al (2006) Body weight and mortality among men and women in China. JAMA, 295, 776-783. ・Han, Z., Mulla, S., Beyene, J., Liao, G., McDonald, S. D. & Knowledge Synthesis, G. (2011) Maternal underweight and the risk of preterm birth and low birth weight: a systematic review and meta-analyses. International Journal of Epidemiology, 40, 65-101. ・Harrison, G. G. (1985) Height-weight tables. Annals of Internal Medicine, 103, 989-994. 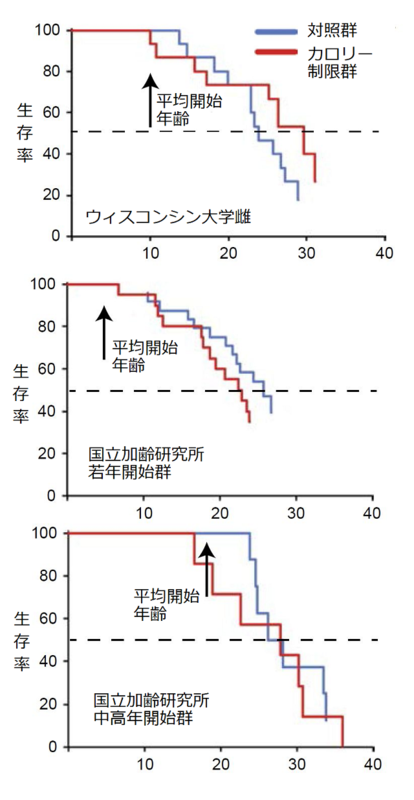 ・Iketani, T., Kiriike, N., Stein, M. B., Nagao, K., Nagata, T., Minamikawa, N., et al (2003) Effect of menatetrenone (vitamin K2) treatment on bone loss in patients with anorexia nervosa. Psychiatry Research, 117, 259-269. ・Ingram, D. K., Cutler, R. G., Weindruch, R., Renquist, D. M., Knapka, J. J., April, M., et al (1990) Dietary restriction and aging: the initiation of a primate study. Journal of Gerontology, 45, B148-163. 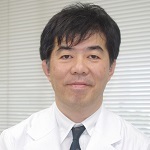 ・伊東宏 (2015) 子宮内膜環境と将来のメタボリック症候群　DOHaDの観点から 妊婦のエネルギー摂取不足と児が将来脂肪肝を発症するリスクの関わりについて. 日本内分泌学会雑誌, 91, 176. ・河原田洋次郎, 永田利彦, 切池信夫, 池谷俊哉, 田中秀樹 & 山上榮 (2000) 神経性食思不振症経過中に骨折を起こした3症例. 精神医学, 42, 847-850. ・Keys, A., Fidanza, F., Karvonen, M. J., Kimura, N. & Taylor, H. L. (1972) Indices of relative weight and obesity. Journal of Chronic Diseases, 25, 329-343. 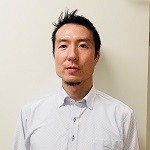 ・Kubota, K., Itoh, H., Tasaka, M., Naito, H., Fukuoka, Y., Muramatsu Kato, K., et al (2013) Changes of maternal dietary intake, bodyweight and fetal growth throughout pregnancy in pregnant Japanese women. Journal of Obstetrics and Gynaecology Research, 39, 1383-1390. ・丸山史, 内海厚, 吉沢正彦 & 本郷道夫 (2000) 摂食障害患者と無月経　BMIを指標とした予後調査より. 思春期学, 18, 177-181. ・Mattison, J. A., Colman, R. J., Beasley, T. M., Allison, D. B., Kemnitz, J. W., Roth, G. S., et al (2017) Caloric restriction improves health and survival of rhesus monkeys. Nature Communications, 8, 14063. ・Nagata, T., Saito, M., Kawarada, Y. & Kiriike, N. (2003) A case of childhood onset anorexia nervosa developing femoral neck fracture and osteoporosis. Jpn J Child Adolesc Psychiatr, 44 (Supplement), 94-100. ・永田利彦 & 切池信夫 (1998) 米国における摂食障害患者の治療の現況：COPE病棟（ピッツバーグ大学摂食障害専門病棟）での重症患者の治療経験から. 精神医学, 40, 781-785. ・永田利彦, 山下達久, 山田恒, 水原祐起, 水田一郎, 野間俊一, 田中聡, 崔炯仁, 和田良久, 岡本百合, 鈴木眞理 & 宮岡等 (2018) 無視されてきたダイエットと痩せすぎの危険性 -痩せすぎモデル禁止法に向けて-. 精神神経学雑誌, 120, 741-751. ・Sasazuki, S., Inoue, M., Tsuji, I., Sugawara, Y., Tamakoshi, A., Matsuo, K., et al (2011) Body Mass Index and Mortality From All Causes and Major Causes in Japanese: Results of a Pooled Analysis of 7 Large-Scale Cohort Studies. Journal of Epidemiology, 21, 417-430. ・瀧本秀美, 吉池信男 & 加藤則子 (2010) 【胎生期環境と生活習慣病】 わが国における低出生体重児の増加とその要因　母子保健統計を用いた検討. 医学のあゆみ, 235, 817-821. ・Wardle, J., Haase, A. M. & Steptoe, A. (2006) Body image and weight control in young adults: international comparisons in university students from 22 countries. International Journal of Obesity, 30, 644-651. ・Weaver, C. M., Gordon, C. M., Janz, K. F., Kalkwarf, H. J., Lappe, J. M., Lewis, R., et al (2016) The National Osteoporosis Foundation’s position statement on peak bone mass development and lifestyle factors: a systematic review and implementation recommendations. Osteoporosis International, 27, 1281-1386. ・World Health Organization (1995) Physical status: the use and interpretation of anthropometry. Report of a WHO Expert Committee (Technical Report Series No. 854). Geneva: World Health Organization,.